Government support has just been confirmed for Lancaster’s proposed ‘Garden Village’, a collection of 3,500 homes to be built at Bailrigg near Lancaster University. 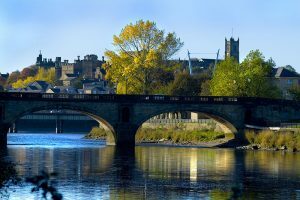 Lancaster City Council is to receive £6 million to develop their plans and the project is one of 14 other ‘Garden Village’ proposals that have received funding nationwide. There are hopes that this project will boost the local economy by bringing more business into the area and Lancaster University’s Vice-Chancellor, Mark E. Smith, is excited to see the positive effects the Garden Village will have on the Lancaster Community.